Kentucky tobacco farmers have recently turned to hemp, transforming the Bluegrass state into one of the country’s greatest producers of the substance. Kentucky tobacco farmers, who for generations had relied upon the plant as their primary cash crop have recently turned to hemp, transforming the Bluegrass state into one of the country’s greatest producers of the substance. The rise of hemp production in Kentucky has been as dramatic as it has been unexpected. For years, federal laws have prohibited the growth of different forms of cannabis, including hemp. Though it remains illegal, legal and societal acceptance has led to an overwhelming majority of states across the country passing some form of cannabis legalization. Kentucky’s numbers have been encouraging: In 2014, the state devoted just 33 acres to hemp cultivation; two years later, that number skyrocketed to 2,350, making it second in the nation in hemp cultivation behind Colorado. 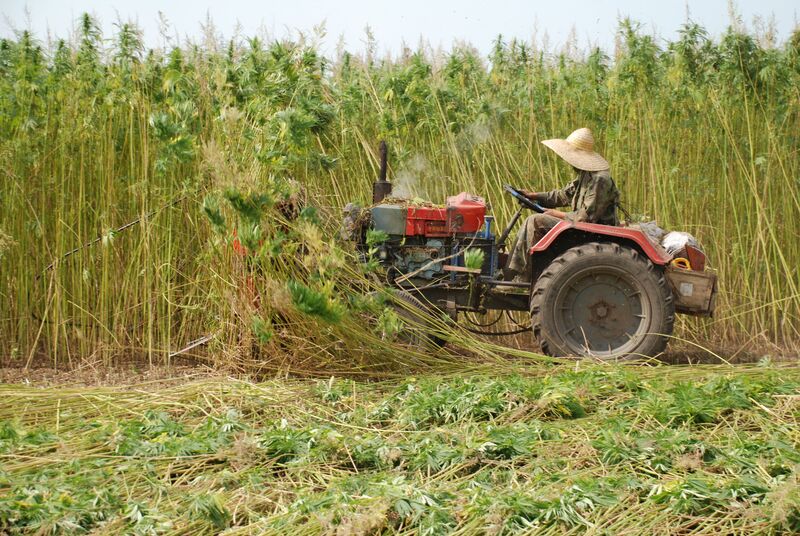 The increase in output has made for something of a financial boon for the state’s hemp farmers. Giles Shell, who owns a family farm near the city of Lexington, has said that transforming the business from having produced tobacco to producing hemp has certainly produced benefits. The profit is promising… We’ve been willing as a family farm to be able to take this adventure. A contributing factor in the rise of Kentucky’s hemp production has been the decline of smoking in the United States. Over the course of roughly the past 50 years, the percentage of American adults that smokes has declined by over 50 percent. This has led to a steep drop in the amount of tobacco cultivated, with the number of tobacco farms falling from 180,000 in the 1980s to just around 10,000 in 2012. The narrow ways in which tobacco may be used – mostly for recreational smoking purposes – may be contrasted with the ubiquity of industrial hemp. Tens of thousands of products, including rope, clothing, food, and medicines are able to be produced from the hemp plant. While the majority of products made from hemp available in the U.S. are imported from abroad, the market appears to be picking up: In 2015, the retail value of hemp products in the United States climbed to a whopping $573 million. 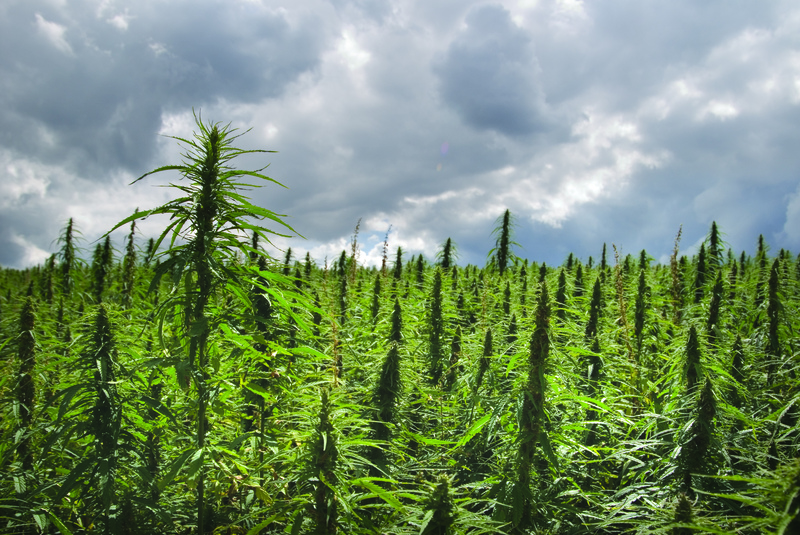 In the near-term, the production of hemp in Kentucky is still a tricky endeavor. First offenders found by law enforcement authorities to be cultivating five plants or more in the Bluegrass state may be charged with a felony and subject to up to five years in prison and a $10,000 fine. Still, the rise in cultivation across both Kentucky and the United States has meant that authorities often look the other way on cultivation, particularly in regards to an industrial product like hemp. With the increased cultivation of hemp has come greater instances of thievery, as hemp may often be indistinguishable from marijuana, says Shell. The future of hemp cultivation looks promising, with attitudes among Americans on cannabis continuing to bend further toward full-on legalization. Late last year, one poll found support for cannabis legalization to have risen to 60 percent, representing the highest level of support in the poll’s previous 47 years.